Warren Buffett recently gave his best investment advice, and criticized the 'elite' for having thrown away $100 billion by snubbing it. 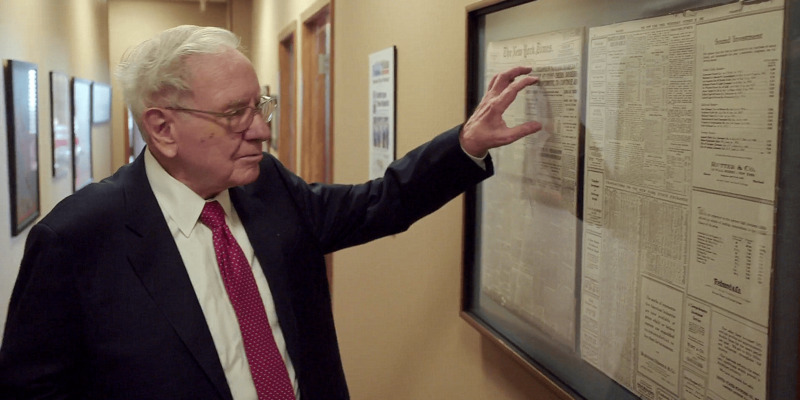 Berkshire Hathaway came out with Buffet’s yearly letter to shareholders, covering an assortment of topics, speaking on everything from stock buyouts to his favorite book last year and dishing our expert investment advice. "For many years, people have often sought investment advice from me; and in providing such advice, I’ve learned to comprehend human behavior more and more," Buffett’s letter said. Buffet further said, "My constant advice has been a low-cost S&P 500 index fund. Fortunately for my friends of modest means, they have often heeded my recommendation." In the annual letter, Buffet refers to Jack Bogle, who revolutionized investing through the introduction of the index fund, as a "hero”. But not all people listen to Buffett's advice. "However, none of the super-rich individuals, pension funds and institutions has taken that same advice I gave to them," he said. Buffet further said: "These investors, nevertheless, routinely thank me for my advice and then leave to follow the advice of a high-commission manager or, for a lot of institutions, to look for another class of high-priced adviser called a consultant. "That professional, however, carries a problem. Imagine an investment consultant recommending to his clients every single year to continue adding to an index fund replicating the S&P 500. That is committing career suicide. But those hyper-helpers charge high fees, while they suggest small managerial shifts each year or so. That recommendation is usually served in mysterious language illustrating why trendy investment “fads” or present economic patterns justify the shifts. "The rich have learned the habit for wanting the best cuisine, education, recreation, residences, sports ticket, plastic surgery, anything you can think of. They somehow feel their money should afford them something better than what the masses get. "In certain instances, wealth can indeed bring the best services or products. As such, the financial “elites” – rich people, pension funds, college endowments and others – have difficulty signing up humbly along with people of modest means for a financial product or service. This hesitation of the wealthy ordinarily applies although the product concerned is – based on expectations – the obvious choice. In my crude estimation, the search by the wealthy for better investment advice has caused it, all in all, to squander over $100 billion in the last ten years. That is: A one percent fee alone on a few trillion dollars can accumulate. Certainly, not all investor who invested in hedge funds a decade ago lagged S&P gains. My calculation of the total shortfall, I believe, is conservative. "Public employees suffered more from the financial damage that affected pension funds. Many of such funds are sadly insufficiently funded, partly because they have endured a double whammy: poor investment performance along with large fees. The shortfalls coming from their assets will be made up for by local taxpayers for decades.